As per Google reports, mobile search has outshone desktop search since 2015 May and ‘Near Me’ searches have multiplied from 2014 to 2015 where 80% of those searches coming from different types of mobile devices. Irrespective of whether the search is being done from a bus, car or Uber, whatever they’re searching for is intended towards a specific location. If you’re wondering about what the world may be without local search, you should know that it is definitely going to crumble to nothing. What would happen if there was no ‘Near Me’ search? Let’s take a look. There wouldn’t be access to healthcare: If there weren’t hospitals which didn’t optimize for local search, a searcher who is located in a new area or is on a vacation may find it extremely tough to get medical care on the go. 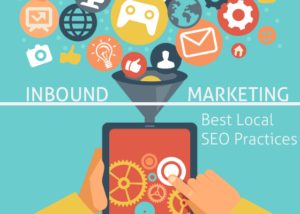 Majority of the health care organizations are occupying the primary spot in the landscape of inbound marketing for the ‘near me’ searches. All those people who seek medical care through local search are most likely doing so as their last resort through such local searches. Hence, without local search, there wouldn’t be any access to medical care. There wouldn’t be locational career searches: There are many who still don’t have a stable career option and it is only through local search that they find career options in a particular geographical location. Jobs are required to make money and to lead a life properly and it is only when we can find jobs in our desired location that we can become happy employees. There wouldn’t be a way to satiate late night desires: You might suddenly crave for Italian food at 3 am at night and if you don’t have the ‘near me’ option, you couldn’t be able to satisfy such late night cravings. You could even watch out for restaurants near you that are open at such abnormal hour of the day. There wouldn’t be on demand ice-cream searches: You must have heard of Ben & Jerry who has always optimized on local listings with Ice Cream Shop under Google My Business and this is the reason why its customers never missed a new store. Without local search, there wouldn’t be any icrecream searches at any time of the day. There are many businesses that would suffer without local SEO or local search options. This makes it clear why the world would crumble down without this option.